Stop wasting engineering time fixing security holes too late in the software development lifecycle (SDLC). Start with a secure foundation before coding starts. ActiveState’s Platform gives your engineers a way to bake security right into your language builds, letting you identify security vulnerabilities, out-of-date packages and restrictive licenses (e.g. GPL, LGPL) each time your application is run. 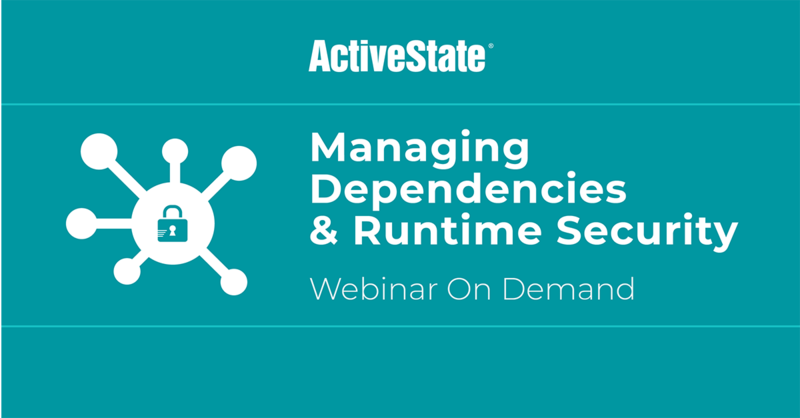 In this deminar, we look at how ActiveState’s Platform helps you solve problems like verifying licenses, runtime security and managing dependencies. Download the slides (PDF) here. Pete helps companies move from the lab to production for the technologies ActiveState enables. He’s spent 15 years in software development with roles ranging from Programmer to Executive Producer. He’s passionate about engaging with communities & enhancing developers’ experiences. He’s a regular speaker, writer and practitioner of ML, Python and Go. He earned his undergraduate degree at University of Waterloo, and an MA in Communication from Carleton University in Ottawa.